The solar eclipse on August 21st, 2017 passed over Charlotte with 98% totality. 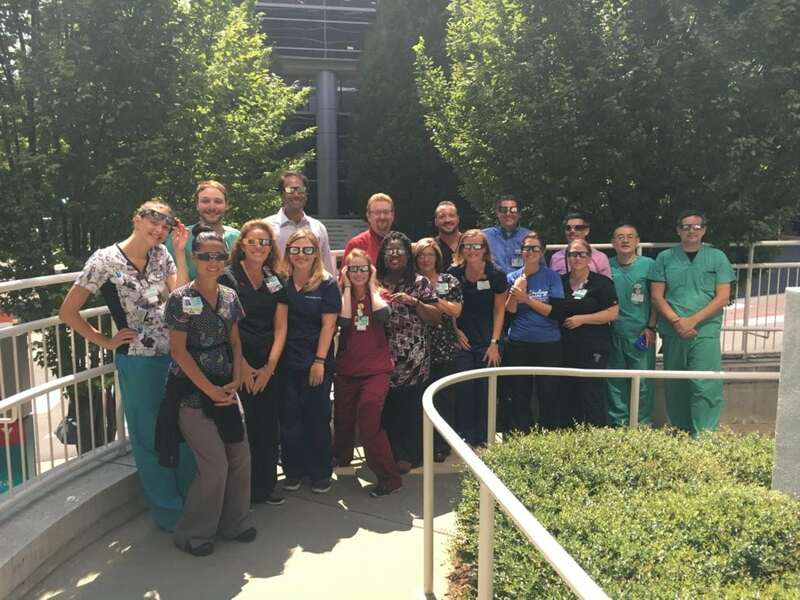 Southeast Radiation Oncology Group did not miss out on this rare and unique event. 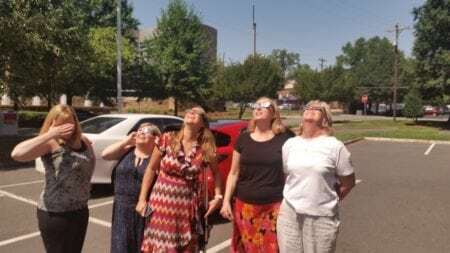 Some of our doctors and the business office went out to take a peek at this fantastic phenomenon. The SERO business office staff enjoyed the eclipse viewing. Drs. Prabhu, Burri and McHaffie enjoyed viewing the eclipse with the radiation oncology staff at Levine Cancer Institute Carolinas Medical Center.